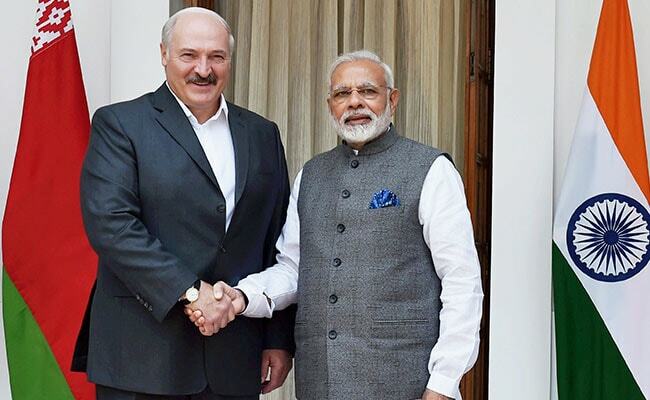 Prime Minister Narendra Modi and Belarus President Alexander Lukashenko, during their extensive talks, also agreed to focus on ramping up economic engagement between the two countries, holding that there was a huge scope for boosting trade and investment. New Delhi: India and Belarus today inked 10 pacts to expand cooperation in a range of areas and decided to explore joint development and manufacture of military platforms, giving a fresh momentum in bilateral ties. "We will encourage joint development and manufacturing in defence sector under the 'Make in India' programme," Prime Minister Modi said in a media statement. The prime minister said he and President Lukashenko reviewed the "architecture" of India-Belarus partnership and exchanged ideas to expand it. The pacts inked provided for enhancing bilateral cooperation in a variety of areas, including oil and gas, education and sports.